Megan brings an insight for home interior design, a customer-first mindset, and a business savvy approach to support her clients achieve their real estate dreams. Born and raised in southern California, Megan has developed an intelligent and talented eye for locating prime properties for her clients. 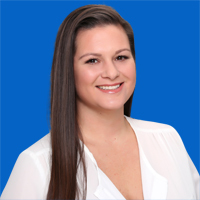 Utilizing her extensive experience from international business and retail management, Megan brings her clients a unique consultant experience that organically creates smart business decisions for investors, home sellers, or home buyers. Megan also specializes in foreign buyers and brings smart invest plans and a world class experience to those are seeking to invest in California. With passion and desire, she gives her clients the ability to have a trusted real estate agent in their corner to create financial freedom or find the perfect home. Interactive client experience, strategic real estate ideas, creative business designs, and positive relationships are the fundamentals to Megan’s modern approach to bring real estate success to her clients.